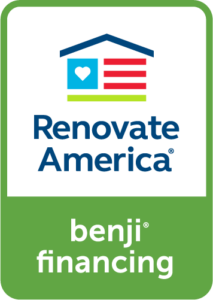 Renovate America/HERO Program & Benji Financing This program is a great opportunity for you to improve your property by making it more energy efficient, lowering your utility bills, and improving the economy and environment all at the same time. You can truly be a HERO by taking advantage of this important and innovative program. The California HERO Program (Home Energy Renovation Opportunity) is a local government sponsored effort which helps cities and counties to provide homeowners and businesses with financing for over 150,000 different types of energy efficiency products and their installation, such as Air Conditioning (HVAC) Systems. Encourages the use of energy efficient products by making them more affordable. Helps property owners save money on energy bills. Improvements made may increase property values. Helps the county meet environmental standards and reduces carbon emissions, thus improving the region’s quality of life. Why Should the HERO Program interest you? Energy efficient products are often more expensive. HERO Financing’s low rates, long term financing, and tax benefits provide great incentives for property owners to purchase more expensive products at similar net costs to less efficient products. Borrow up to 10% of your home’s value. No Credit Score Requirements – HERO is available to more property owners than other financing offerings. Low interest rates and payments are made as part of your property taxes. If you sell your property before the balance is paid, in most cases, HERO Financing transfers with the property when sold, which takes the investment risk out of installing energy efficient products. Homeowner approval can take less than two minutes! For more information and to apply…Please visit www.renovateamerica.com click “Get Financing”.